It has been quite some time that I have blogged due to heavy schedule, travel and BPI responsibilities. About a month ago a colleague shared with me some disheartening conversations he had with a couple specialists that were dismayed at the lack of opportunities in the industry. In that conversation I told him that I had heard that some have even blamed me for misleading them in the truths of the industry and the frequency or infrequency of work in the CRAFT. That is a blatant LIE. In fact I have gone through every blog since the inception of the BPI blog and counted 10+ blogs that I speak clearly to the difficulties of the CRAFT. I do not own an EP school and do not have a dog in the fight to fill any seats anywhere BUT I have always felt like I have a responsibility to clear the air for those entering the CRAFT as well forewarn those who have an interest in it. I have spoken over and over about “Separators” and those processes [training] that you add to your resume/bio that pull you away from the crowd. That principle still remains paramount. Critical training will always get you noticed over others by a decision maker in 99 out of 100 times. Your REAL experience will influence that moment that a decision makes their choice. 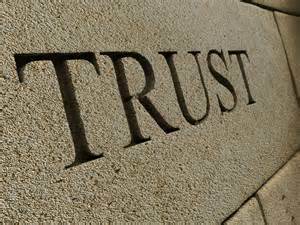 But when it is ALL said and done there is ONE REAL FACTOR that separates those that are working and those that are not being used – TRUST. You can have all the training in the world from the TOP LIST schools, have 2 PhD’s but if the decision maker can NOT put his finger on a factor to TRUST you, all is for naught. Can I trust that you know how to put all of your learning together in a split second when nothing else matters but that decision, be it life and death or a simple decision on managing the drivers. 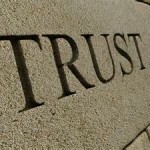 Can I trust that you have the professional and ethical creed to leave you alone with my client? Can I trust that when I give you the opportunity to change your mindset on the industry, that you won’t revert back to your old ways and portray yourself in the past light. That’s trust in the fact that you will remain true to my brand and yours. If you are asked to fix something as simple as your resume and don’t, how can I trust you in and around a million dollar decision maker? When I ask another service provider for a specialist in a certain area and they provide me a name, I always ask, “Do you trust him/her” and they already know what I am asking. Will this person ruin the morale of the detail with complaining? Is he/she a gossip whore? So before you get mad and pissed at the industry take a good look at, “Have I built a brand of trust?” This is the special ingredient that is used in the final decision recipe. In defense of Eric someone that I have spoken to personally several times and have gotten guidance. I do not know my brother to mislead anyone through his blogs and/or private conversation about the EP industry. In fact it is his words and guidance that has allowed me to see and experience steady and continuous growth in the industry. This is a very demanding profession and you have to be prepared for the ebb and flow of the industry and more importantly never quit. laying blame on others for your lack of progress and growth is already a red flag that maybe you are not quite ready to be an EP Professional. Thank you for this blog Eric. It has cleared up some questions that I’ve had. You have been upfront and straight with me in all of our dealings. So for anyone who states that you have mislead them in the craft, I would beg the difference. Again, thanks for your insightful blog!